* Our Mother Drum circles are not that often and are very unique healing gatherings and all who attend this circle will have a chance to play the Mother Drum. This is a SCENT FREE EVENT- please do not wear or use before you come… any scented oils (even natural), perfumes, moisture creams, soaps, hair care with scent and no dryer sheets or scented laundry soaps. Myself and others are highly allergic. Our venue is a very small, intimate space. If ever there was a time to come together in UNITY…IT IS NOW! Mother Earth awakens! She stirs, sending forth shoots and leaves, whispering sweet desires and hopes in the merry month of May. 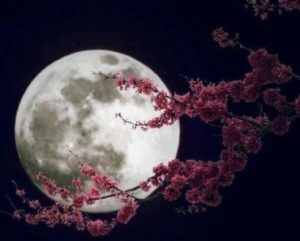 We will also, celebrate this month’s full moon- the flowering or pink moon that sheds light on how you are growing our gardens and what seeds we are planting. Come drum, chant with the Mother Drum and all of your sisters and brothers. We will drum and chant in the sacred four directions of the Medicine Wheel. Please bring all kinds of drums and rhythm instruments and join your tribe as we celebrate the sacred circle of life. If you choose to bring a healthy snack for us all to share…that would be most appreciated. The Mother drum is like a large pow- wow drum and is used as a healing drum for our community and re-membering our Mother Earth’s heartbeat. that connects us all. This sacred ceremony teaches us the power of deep listening and helps take us deeper into community to find our commonUNITY… as we heal ourselves and our Mother Earth .